Let’s travel to India explore the theme of natality in the Himalayan culture of Uttarakhand, a north-west state (click for map). We focus on ‘revolutionizing’ as political actions that generate new beginnings by exercising collective power. Language. Uttarakhand has a multi-ethnic population spread across two geocultural regions: the Garhwal in the northwest and the Kumaun in the southeast. Over two million people speak Garhwali language. Garhwali culture syncretizes indigenous traditions with the traditions superposed by various ethnic groups who settled in the region. The Kumaon indigenous culture in Uttarakhand were signatories to the Bhutan Declaration in 2014 , as were the Quechua people in Peru. Land. Many of the inhabitants of Uttarakhand are involved in agriculture. Indian farmers cultivate the land in the river valleys that emerge from the foothills of the Himalaya, using river water to irrigate their crops. The capital, Dehradun, lies between two of India’s mightiest rivers – the Ganges and the Yamuna. More then 60% of Uttarakhand is forested. History. Himalaya farmers have a long history of living in harmony with the land. Himalayan Hindus share the values of Himalayan indigenous people in seeking balance between all living things in their natural environment. For millennia, they have been breeding crops for climate resilience. However multinational corporations are eroding Indian food security by promoting monoculture and pirating climate resilient breeds, claiming farmer’s collective knowledge as their invention through biopiracy patents. 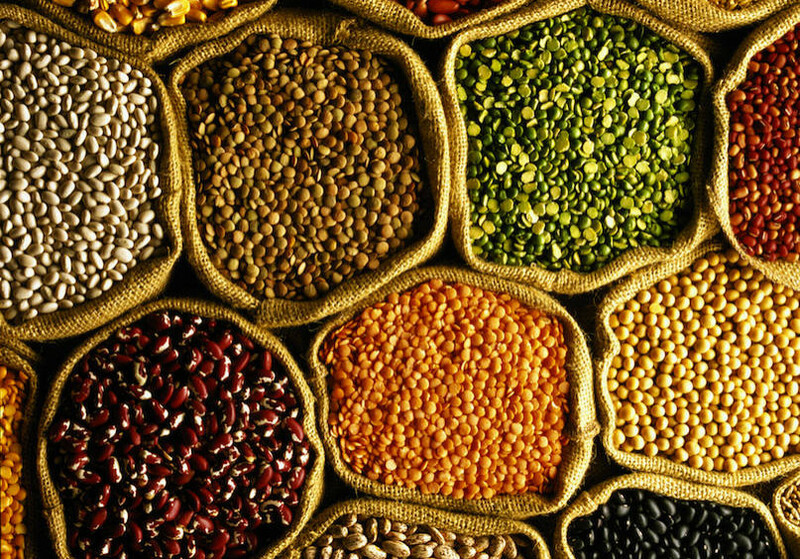 “Patenting seeds has huge costs for farmers, biodiversity, and the ecology,” said seed-activist Vandana Shiva at the 2014 Public Interest Alberta conference in Calgary. “Fifty percent of Monsanto’s seed price is profit. That represented an 8000 percent price jump for Indian farmers” (Shiva cited by Kome, 2014, np). In India, more than 280,000 farmers have committed suicide related to bankruptcy after investing in expensive, unreliable patented seeds. Climate change is having a significant impact on the people of Uttarakhand. Himalayan farmers face a dual threat: climate change and GMOs. The glaciers of the Himalayan Mountains feed the giant rivers of Asia. Climate change is causing reduced periods of snowfall which means less stream flow. Glaciers are melting faster in summer. India’s first climate refugees were from several Himalaya villages in June 2013, when a heavy rainfall in a high altitude desert caused flash floods that washed away homes, fields and livestock and caused 5000 deaths – India’s worst natural disaster since the 2004 tsunami. As the Gangotri glacier melts, the volume of the Ganges River decreases, affecting 500 million people and 37 percent of India’s irrigated land. Indians view the Ganges River as Sacred Mother to all life and thus water can never be a commodity. When The World Bank demanded that India privatize water, it caused so much civil unrest that the government decided not to proceed (Kome, 2014, np). Climate change adaptation in the Himalayas requires both seed sovereignty, water conservation and protection of traditional small farming practices. 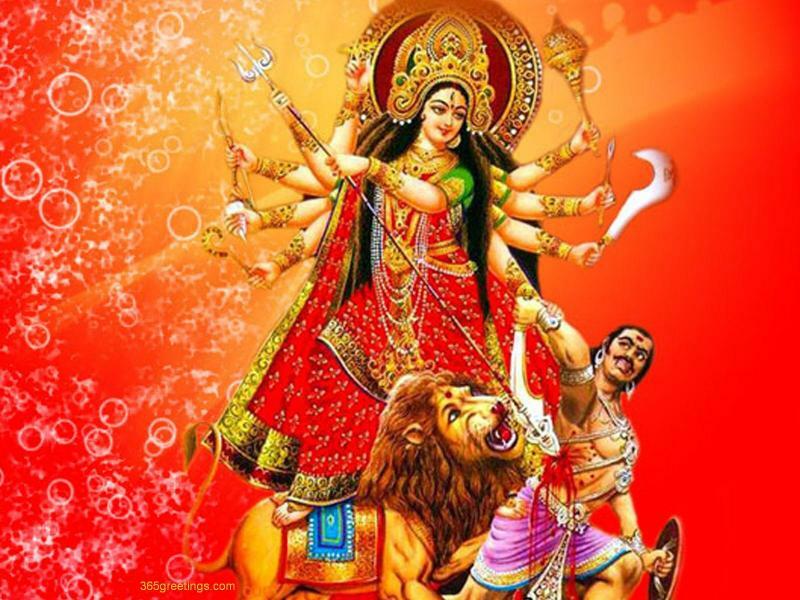 Durga stands on a lion and wields the eight weapons gifted to her by the gods to slay the buffalo-demon. According to Hindu mythology, the goddess Durga saved the world by killing the buffalo-demon, Mahish’ashura, who was so powerful that he could not be defeated by gods, men, spirits or any aspect of nature. Thinking he was invincible, he had become a tyrant and ruled the world in place of the gods. Durga brandished her eight arms, each carrying a weapon that the gods had given her as gifts. She battled the buffalo-demon and conquered, using her intelligence, confidence and courage (Figure 19). After slaying the demon, Durga danced. Her dance shook the worlds. The goddess Durga is widely worshipped by Hindus. Indigenous peoples in non-Aryan areas of India have early myths in which Durga is associated with the Himalaya. Durga may be as ancient as the Harappan culture (3300-1300 BCE) (Amazzone, 2011, p.74). Ma-Durga is her name when she is associated with the power to create life and encourage the growth of grains. She is also known as Ambika, Nurturing Mother. She is assimilated with Uma, Goddess of Light, who resembles Buryatian Umai, as well as with Kali, Destroyer of Time, and Shakti, Primordial Creatrix (Dexter, 1990, p.85; Amazzone, 2012, p.87). As a warrior goddess, she does not lend her power to any male. The Durga myth can be interpreted as a psychological struggle or as spiritual evolution; however, I interpret Durga as revolutionary ecological change. Durga rituals originate in indigenous shamanism and are called maithan (place of the mother) indicate the ancients’ relationship with the Earth as Mother (Amazzone, 2012, p.88). Through spiritual rituals, the indigenous peoples of the Himalayas seek the Mother’s aid in preventing and healing disease, encouraging humans or vegetative plants to regenerate, and invoking protection against enemies including malevolent spirits. These rituals perform the mythology about Durga, enabling people to participate in the mythic drama of the agricultural seasons. The essence and development of Hinduism, Saktism and Tantrism can be found in animism, ancestor and Mother worship… It is likely that Durga, in her collective form as the Matrikas, evolved from aboriginal earth-centered cultures of the prehistoric world (Amazzone, 2012, p.88). Durga defies the dualistic paradigm of the West and offers a unified model of living in harmony with Mother Earth. Diwali is a festival in her honour that is celebrated worldwide. Durga’s lion symbolizes power, will and determination, the attributes of political activists. The iconography frequently paints Durga sitting demurely side-saddle on a lion’s back, while the lion draws first blood from the buffalo-demon. I prefer the iconography that illustrates a political Durga standing on the back of a lion, demonstrating power, will and determination as her weapons draw first blood. Vandana Shiva is a political activist and ecofeminist who has taken on a battle of global proportions against mega-corporations Montsanto and Cargill which patent GMOs. She embodies Durga’s passion for an ecologically sustainable planet in which farmers and gardeners have the right to save and exchange seeds in order to preserve biodiversity and protect food security. She is an icon of autonomous, self-determined political activist, illustrating how to wield political power in order to make a people’s revolution that creates transformative social change. As founder of Navdanya, she has worked to protect farmers’ seed varieties by creating more than 200 community seed banks and challenging biopiracy patents. At her Doon Valley organic farm near Dehradun, Shiva trains farmers in organic farming methods using TEK. 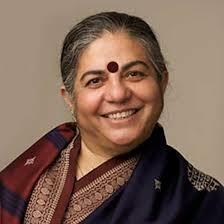 Vandana Shiva talks about seed-saving as critical to biodiversity, food security. At a time when mega corporations want to control our food, it is imperative that we stand together to protect our food, the planet and each other. The word navdanya has several layers of meaning. 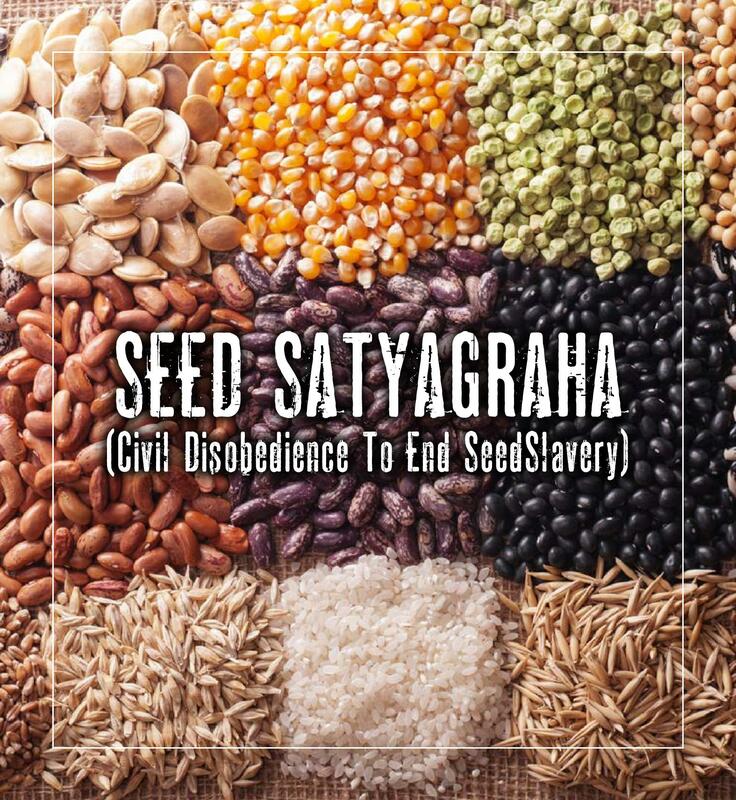 The root nav means ‘nine’ or ‘new’; danya means ‘gift’ or ‘seed’ and these meanings intertwine to mean nine crops that represent India’s collective source of food security (IMAGE_Seeds). Seeds are viewed, not as commodity, but as a gift and as commons, based on the right to save and share seeds. This gift or Navadhanyas (nine seeds) is the ultimate gift – a gift of life, heritage and continuity. In summary, seeds symbolize biocultural diversity. There is a contemporary revolution to resist multi-national corporations that market GMOs. This revolution defends the right to food security inherent in the biodiversity of heritage seeds. Himalayan farmers are political protectors of their biocultural heritage by actively resisting GMOs. Their active resistance is a radical reclamation of the traditional ecological knowledge that sustained biocultural diversity in the past. As political activists, they demonstrate power, will and determination symbolized by Durga, while Montsanto, symbolized by the buffalo-demon, takes a short term view of profits and sows a culture of death with Round-up-ready seeds. Humans possess the capacity of beginning something anew through actions that are the seeds of political revolution. Reformations are slow movements to create gradual change from within an institution. Revolutions, however, are movements to create significant and rapid change by creating new institutions. Revolutions depend on collective agency to disseminate a new idea with transformative persuasion and to reconfigure the transformative idea to social and ecological polis. For Arendt, loss of power is the loss of our capacity to act with others in a way that generates, sustains, and discloses a common world. Power is marked by expanding the commons; powerlessness is marked by the receding of the commons. The subsistence work of living self-sufficiently is both burden and pleasure and “a necessary precondition for healing both the earth and society” (Mies & Shiva, 1993, p.317). That which constitutes a “good life of freedom” may be subsistence agriculture that does not produce commodities for profit but for self-provisioning in egalitarian communities that maintain a practise of reciprocal relationship with nature (p.319) in order to sustain their biocultural diversity. I find it interesting that the revolutions fought by indigenous cultures seek to protect cultural identity and sustainability practices, not to introduce new ideas. The Guna revolution in 1925 defended their historical practices related to identity. The Q’eros and Quechua influenced their politicians to ban GMOs in order to protect the biodiversity that is central to Peru’s cultural heritage. The Navdanya movement gives the people of India a voice for food security using organic methods and heritage seeds. In Western democracies, subaltern groups have to fight for their human rights and for franchise rights. The women’s movement in Canada was a revolution because it fought first for the franchise (1918) and personhood under the Constitution (1929), and then for human rights (1977) and employment equity (1986). The women’s movement revolutionized how we think, live and govern in an egalitarian Canadian society. In contrast, the Occupy movement was a protest but not a revolution because it did not change how we think, live and govern in capitalist democracies. I posit that the high-risk globalized problem of climate change cannot be addressed without a revolution in how we live, think and govern. Arendt’s political philosophy of natality is relevant to collective action toward growing cultures that value natality more than necrophilia.